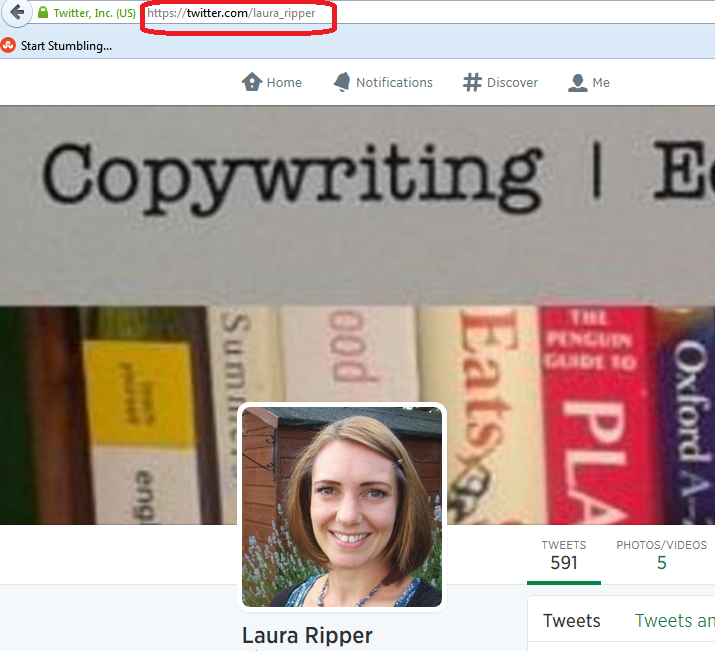 Twitter is an absolutely brilliant tool for business owners – if you use it in the right way. If you use in the wrong way, it can be a nightmare, as bad (or embarrassing) news travels very fast in the Twitter universe! I personally got a lot out of Twitter in the early days, actually securing clients through using it – and long-term clients who recommended me on to more clients, too. I’d go as far as to say that it’s my number four source of work, after repeat business, personal recommendations and the Proz website. My clients still recommend me to other clients via Twitter, even several years on (the other month, a music journalist tweeted that she was looking for a transcriber. FIVE of my current clients tweeted her with my name!). Benefits of Twitter: it’s quick and easy to use. Disadvantage: it can be a time-sink. Most important thing to remember: People only tend to see a snapshot of their tweets every day. I only know one person who reads ALL of the tweets in his timeline. This means that your tweeting strategy should be a bit different from your other social media posting strategies. When you join Twitter, it’s very quick and easy to set up your profile. Your profile is a quick guide to who you are. 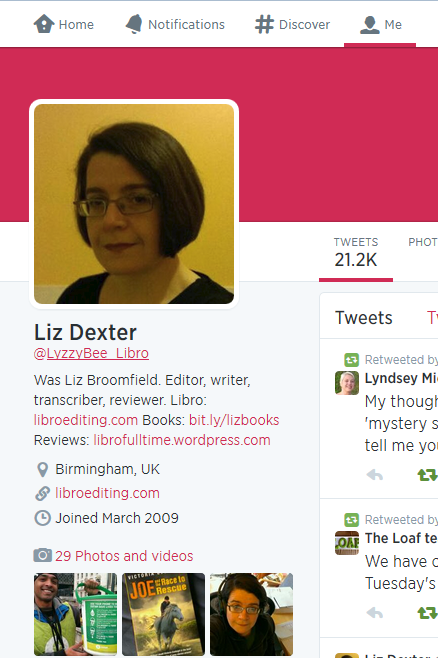 Anyone clicking on it or searching for it needs to know that they’ve found the right Liz Broomfield / Libro (or whatever) and to see easily what you do. As with any profile, you can change it at any point; just click on your image and choose Settings, Edit profile of in the Home Screen, click on your Twitter ID and the Edit Profile button. 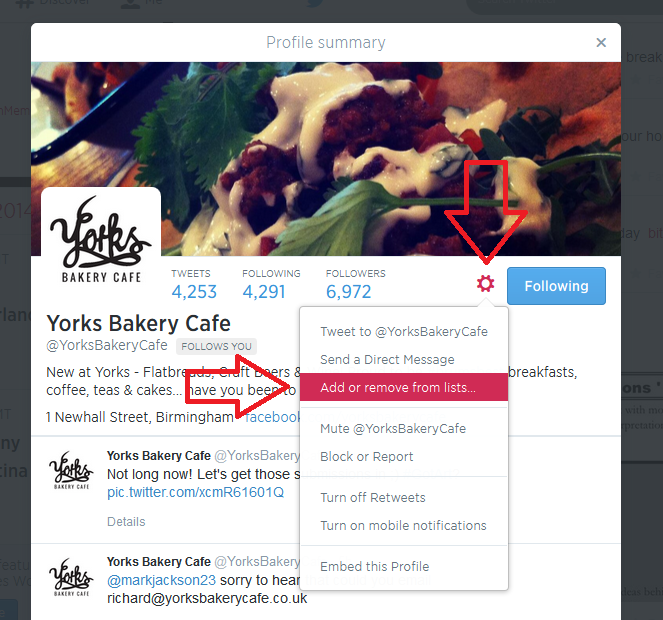 Ask someone for their Twitter ID when you meet them or glean it from their business card or website. 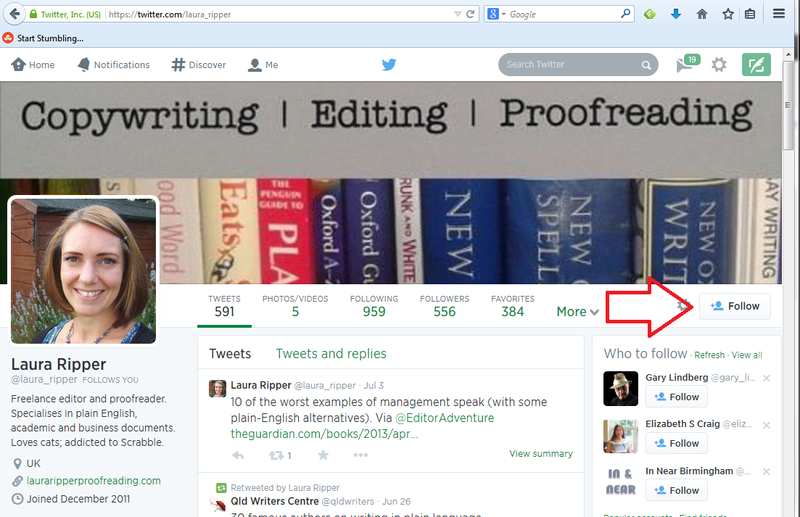 Then enter that ID in the search field on Twitter. Or you can search for the person’s name or company name in the search field on Twitter. 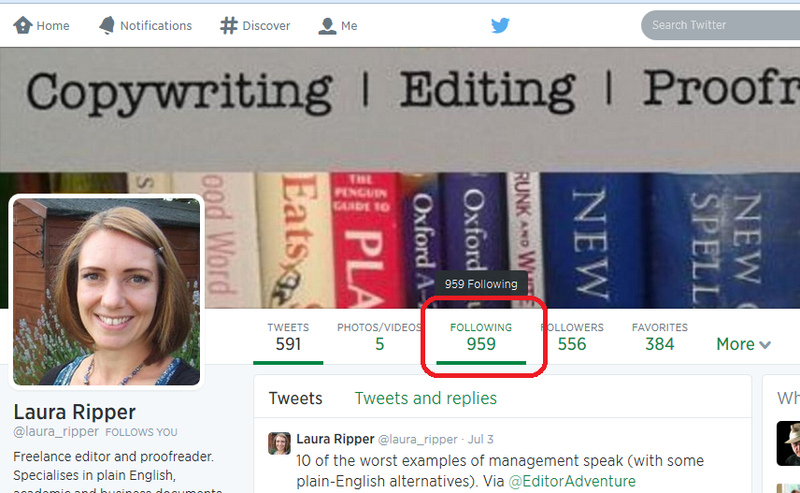 and have a look – there will be a handy Follow button by each name so you can simply follow from there (if you’re already following someone, it will be marked as such). Once you’re viewing who someone is following, you will see a dropdown button marked More which will take you to their Lists. See more about Lists later on, but you can follow either an entire list or members of one by clicking on the list, and this is another good way to glean people to follow in a particular area of interest. How do I choose who to follow? 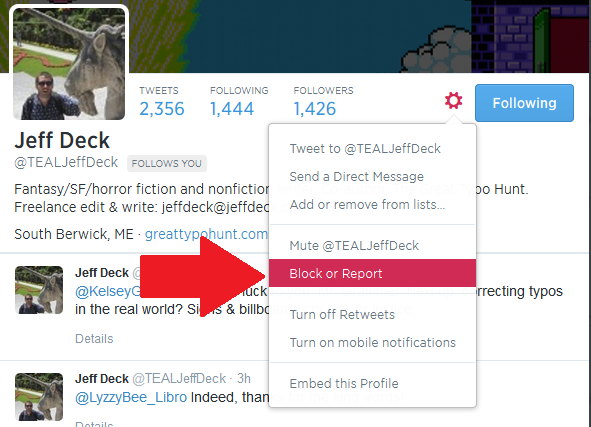 I do also regularly run a check over the people I’m following (click on Home, your own Twitter ID and Following) to make sure they’re still active. If not, I tend to cull. Sorry! 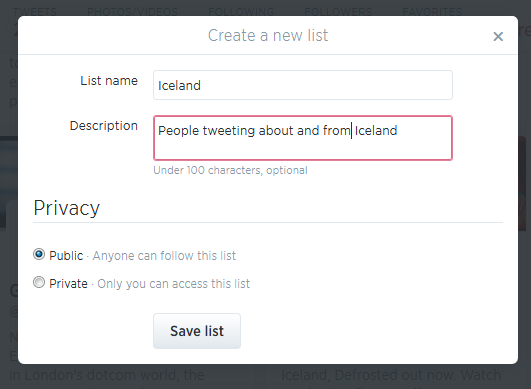 Lists are a great way to put the people who you follow into categories or filters that you can look at independently. For example, I have a “Must know” list which includes all of the real-life friends plus some news feeds that I follow, so that if I only have time for a quick dip into Twitter, I can see what’s really important. I also have a “Journos” one so that I can see what my music journalist clients and a few others are up to, for some entertainment. 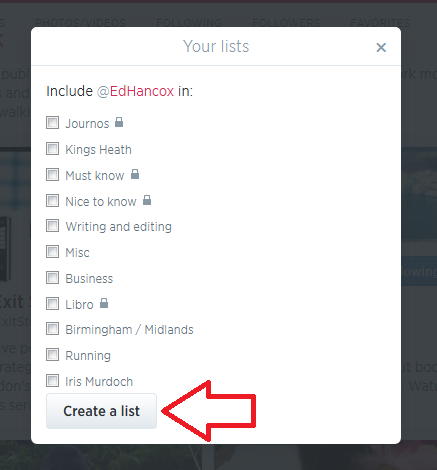 Once you have some lists, you’ll see a Lists entry under More when you click on Me. 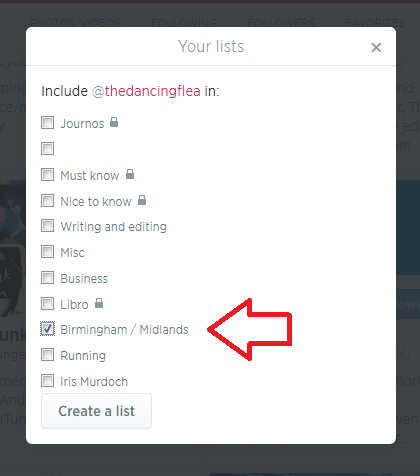 Ideas for lists include friends, particular interests, your business sector, news feeds, sport – anything you want. You can follow other people’s lists or mine them for good accounts to follow – just click on a particular person’s Twitter ID and you’ll get their following, followers and lists. Note – this doesn’t work exactly the same on mobile devices or third-party Twitter management dashboards as it does on the basic web-based Twitter interface. These instructions are for the latter. This makes the message appear in my Connect list (see below) and TheCreativePenn’s Connect list, so I will see the recommendation and she will see that she’s been recommended to me. If she wants, she can then reach out to me, and say thank you to the recommender. # is used to create clickable links that will pull information on a particular topic together in one view. It’s often used at events and conferences – so, for example, #cbsms is used by people tweeting about the Central Birmingham Social Media Surgery. When you see a hashtag (as this is called) in a tweet, it will be a clickable link. Click on the hashtag and you will see all of the recent tweets with that hashtag, giving you a view of what’s going on and who’s talking about it. It is also used to link tweets on a wider topic, e.g. #amwriting, which writers use to talk about the writing process. You can pop a hashtag on a tweet when you want it to come up in such searches, for example I might tweet about my book on transcription and add #transcription at the end, so that anyone looking at that hashtag will see my tweet. Whether you’re viewing Twitter online on a computer or via a phone or a third party dashboard, you will have a twitterstream and then various other views. Your Home will show you your twitterstream: all the most recent tweets by people / companies / whatever that you’re following. Everyone gets spammed by Twitter accounts, dodgy or otherwise, that are usually either looking for random followers to boost their numbers or clicks to their undesirable links. The ones with links often only have a link in the text – this is a real red flag and you should never click on a link in a tweet, even from a friend, if there’s only a link and no text (your friend could have had their account hacked). This alerts Twitter that the person is spamming, and will help to save someone not as savvy as you from clicking on a dodgy link and going who knows where in cyberspace! 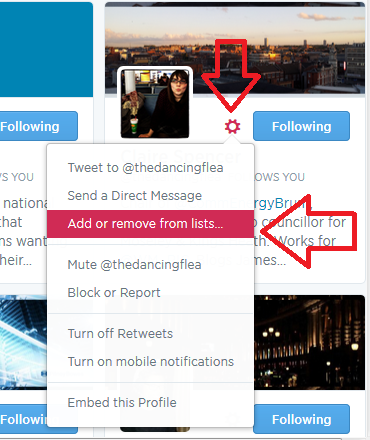 If you’re just getting annoyed or bored by a Twitter account that you follow, you can click on their photo or name and press the button marked Following – this will change to Unfollow as you hover over it; click it and you’ll unfollow them and no longer see them in your Twitterstream. Using Twitter effectively is a matter of knowing how it works and how people view it, and being sensible and polite. The main point about tweeting is that very few people read every single tweet on their timeline. People typically check Twitter on the way to work, at lunchtime, on the way home, and some time in the evening. Once you’re following more than about fifty people, there’s no way that you’re going to see all of their tweets – so think of people as viewing a snapshot of their Twitterstream rather than everything. This means that it’s fine to tweet a message multiple times, where it would be seen as rude and intrustive to post a Facebook status multiple times in one day. You also need to be aware of your markets and their time zones – if you have a lot of Australian clients, and you’re in the UK, you will need to tailor your tweets to their time zone, maybe investing in a Twitter dashboard that will allow you to pre-schedule your tweets. 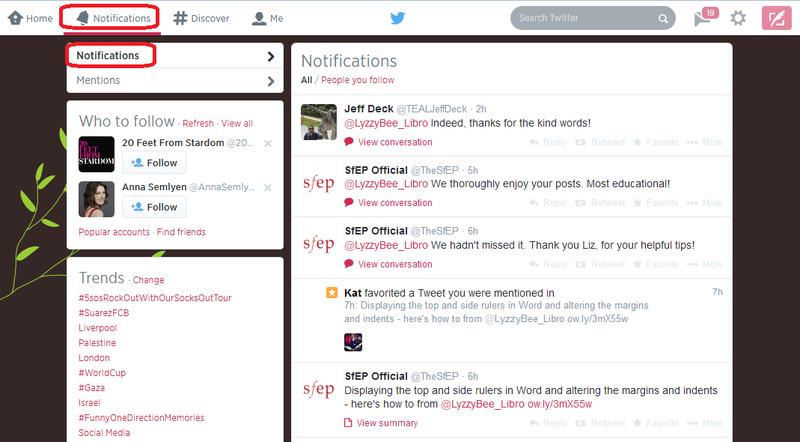 It can be very useful to use a dashboard such as Tweetdeck to manage your Twitter accounts. You can view multiple accounts at a time and post as them (handy if you have, say, a personal and a work account) and view your lists in their own feeds. 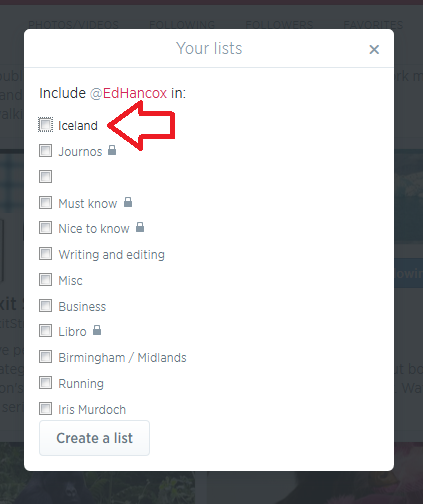 Some of them will also allow you to schedule your tweets to be published at a certain time or on a certain date, which can be very useful (although watch out that you still keep an eye on when these go out, as there have been numerous examples of an auto-tweet posting when it’s really not appropriate, such as after a disaster). The other main rule is to be polite and reciprocate and say thank you. If you retweet other people’s tweets, they are more likely to share your tweets with their network. To retweet, click on the word retweet underneath the tweet, or look for that ‘arrows-in-a-square’ icon which has the same effect. Some people reckon that you should share five other tweets to every one of your own that you post. I’m not that scientific, but I do try to share as much as I post. If other people retweet or otherwise share your tweets, which you will find out about by reviewing your Connect feed, do drop them a message to say thank you. If someone recommends your Twitter account or your services to someone else, contact the person to whom you’re being recommended with a polite “how can I help you” and a way to contact you, and say thank you to the recommender. I’m not a big fan of the automated message when I follow someone’s Twitter account, and many other people find this annoying, too. I like to know that there’s a person behind the account. Similarly, all sales and no sharing, or all automated tweeting and no replying to @ messages will probably get people irritated. Great beginner’s guide! Thanks for including a link to my post too Liz. Thanks, Sandy, and thanks for writing your post, which is really useful for my readers, too! I use scheduling software for some of my tweets that allow people in various timezones to see static information (such as a recent blog post). 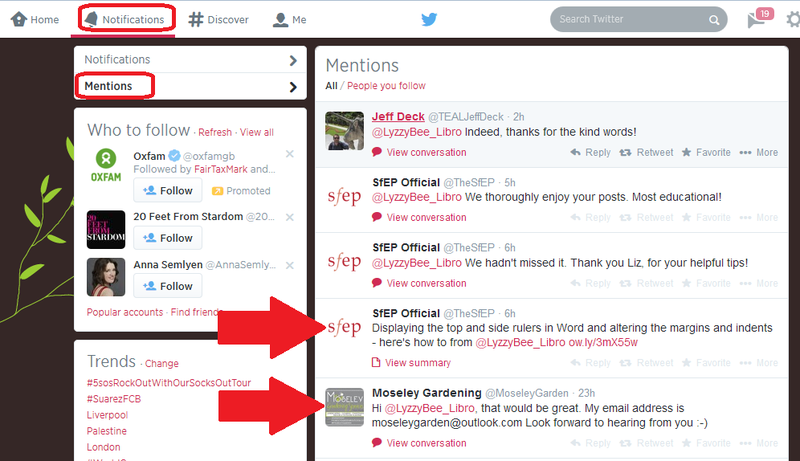 With scheduling and the use of #tags, I have had recent success in getting my tweets retweeted. There is nothing like personal interaction however, something that I’m not always very good at. Unfortunately life (work!) gets in the way and I dont interact with people as and when and I make people realise there’s a human behind the account! Thanks for your comment, yes, scheduling can be a really good idea to cover those different time zones and it’s good to know that that’s worked for you. Addendum: I use hootsuite, rather than tweetdeck, for my scheduling software. 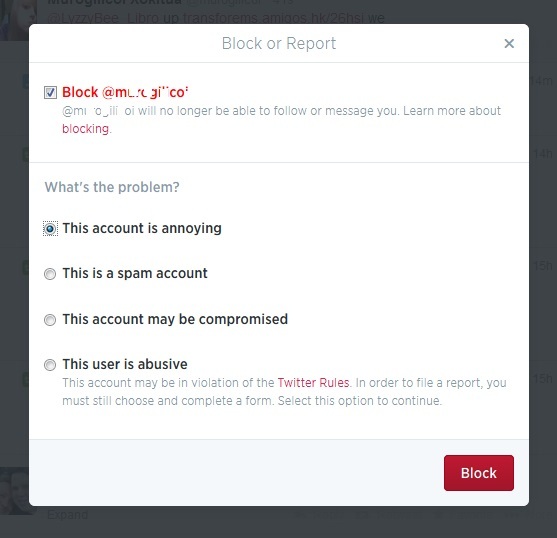 The basics are free, and is usually adequate if you have a small number of accounts to manage, or there is only one of you expecting to tweet under the one account. A much needed guide. The detailed level of your screen shots adds much value. A very common mistake I see is starting a message with the @ symbol. Such tweets are not publicly broadcast to all of one’s followers. They only show up in the feed of the person mentioned. That means that when my city posts things like “@scieditor will be presenting at …”, I am the only one who sees it. 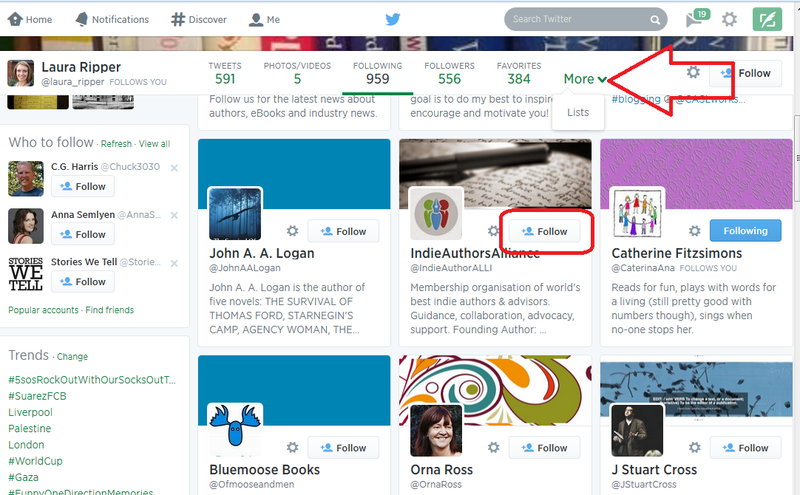 Well, one other person might see that message, because they are following both me and the city; but that’s it. Starting such a tweet with a period is a common fix when rephrasing to place the ID mid-tweet would make the message too long. Thank you for your comment, and for your handy tip, which I will incorporate (with a mention) in the main text when I get a moment.